CA’ PIETRA - Sabre Stone Ltd.
Sabre Stone has been awarded the Platinum retailers status. This is the top award for retailers in recognition of the widest range of stone stock and demonstrates the highest level of training that staff have received; outstanding knowledge of Ca’ Pietra natural stone products and the highest consistency of customer service offered. 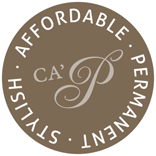 Ca’ Pietra is exclusive sold through trusted retailers that can demonstrate experience and knowledge of this high end product range. Your data is important to us we will only use your contact information to respond to the service you have requested from us.